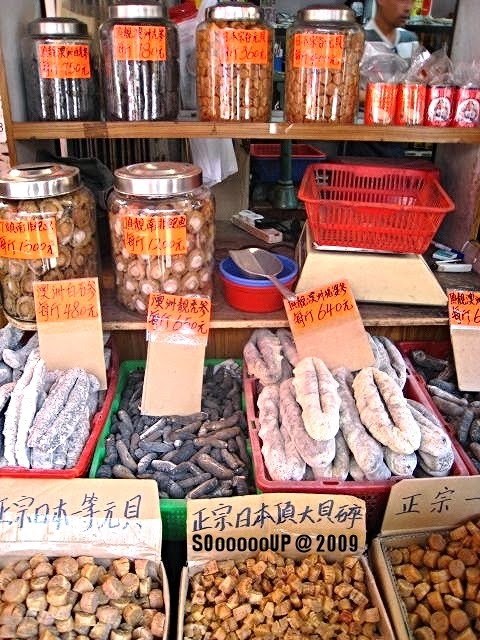 To shop for dried seafood is a must whenever I am in Hong Kong. 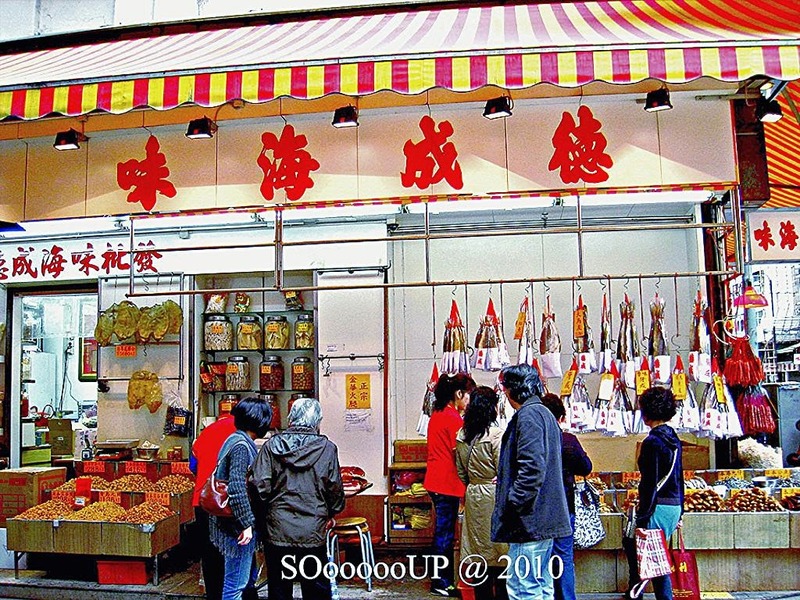 It is a lot cheaper to shop there than here in Singapore and moreover the products are fresher. 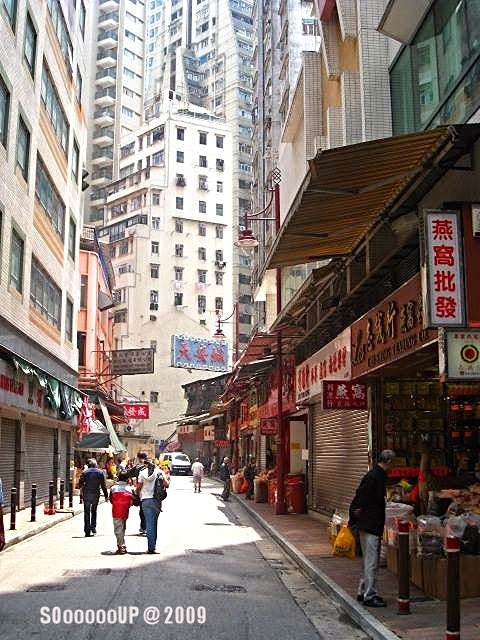 Des Voeux Road West is lined with dried seafood shops. You can find expensive and rare items here. I advise that you patronise the shops in the alley as the prices are cheaper. 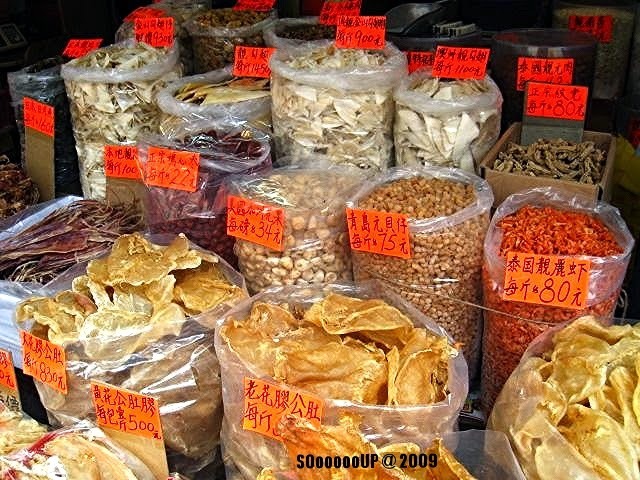 The common things that I buy are scallops, fish bladder, figs, mushrooms, fungus, sharkfin bones, cuttlefish which I use to boil soup. 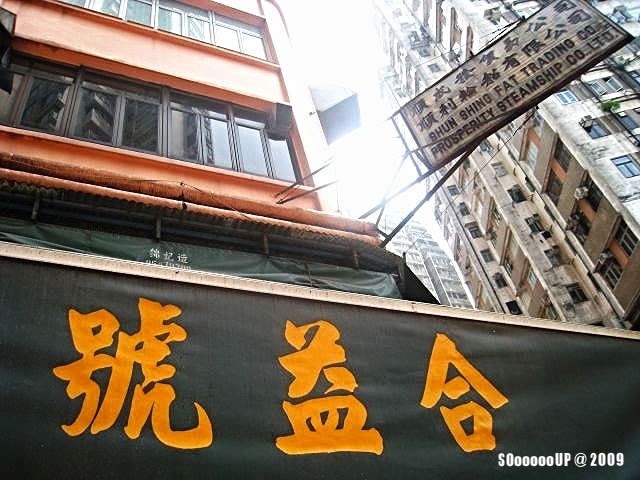 This is the shop where I always patronize was recommended by my cousin. 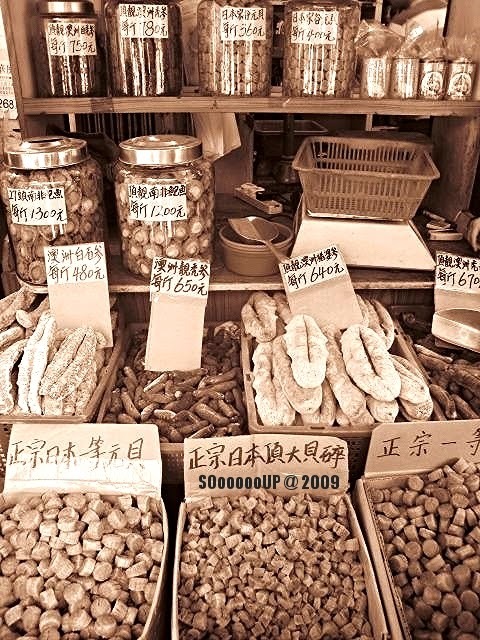 The shop owner is friendly and their goods turnover is high. 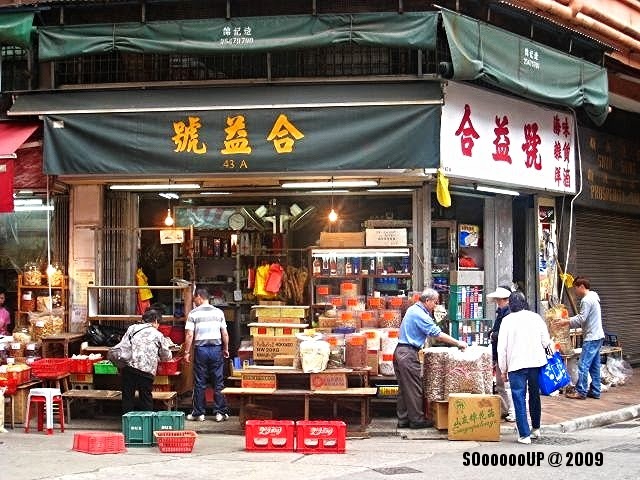 The best time to go is on a Saturday as there are less traffic and most of the wholesale shops are closed for business.